Comtek are pleased to once again be the official sponsor of the CBI North Wales Annual Dinner. Taking place on May 16th 2013 at De Vere VILLAGE, St Davids Park, Ewloe. We’re delighted to announce the Rt. Hon David Jones MP, Secretary of State for Wales will be our keynote speaker at the forthcoming CBI North Wales Annual Dinner. On coming to office David has had to navigate a challenging economic and political climate, working with such issues as tax devolution for Wales and infrastructure investment. In what will be David’s first speech to the CBI as Secretary of State for Wales, we look forward to hearing his plans to fuel the economy and his long term vision for Wales. Following David on stage will be Spectator’s Business Editor, Martin Vander Weyer, a man known for his strong views on a shift on resources from the public to private sector. Join us for what will be an evening of networking and intelligence gathering with a range of influential figures , peers and real decision makers in a relaxed setting, where every conversation counts. 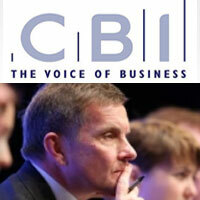 Tickets for these event can still be be booked via the CBI here.